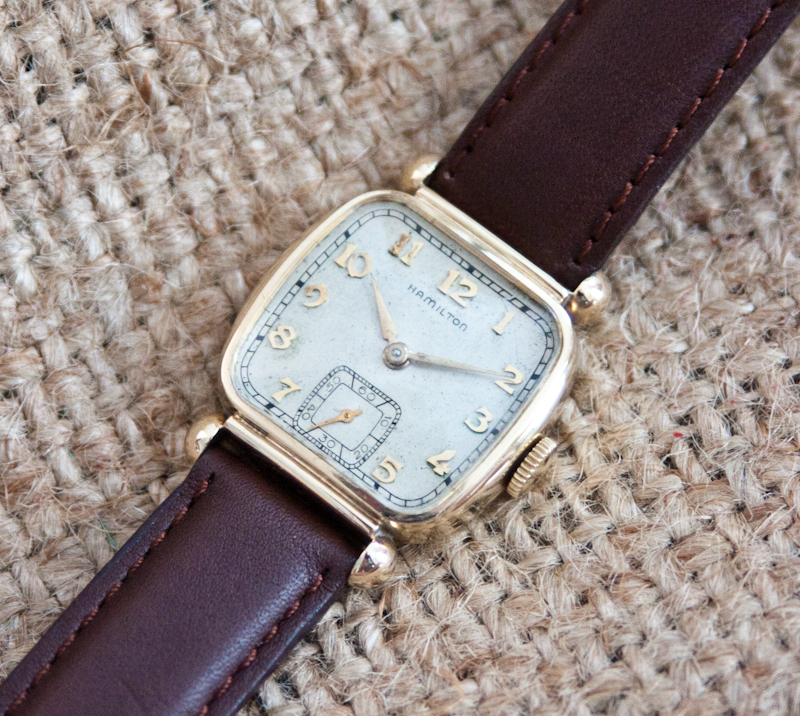 The Hamilton Martin was one of the Hamilton Watch Company’s most popular pre-war models. This example is in great shape and has been recently serviced as well. This watch is also a survivor, that is, it is remained unchanged since it was assembled, other than for the band and spring bars. It is all original. 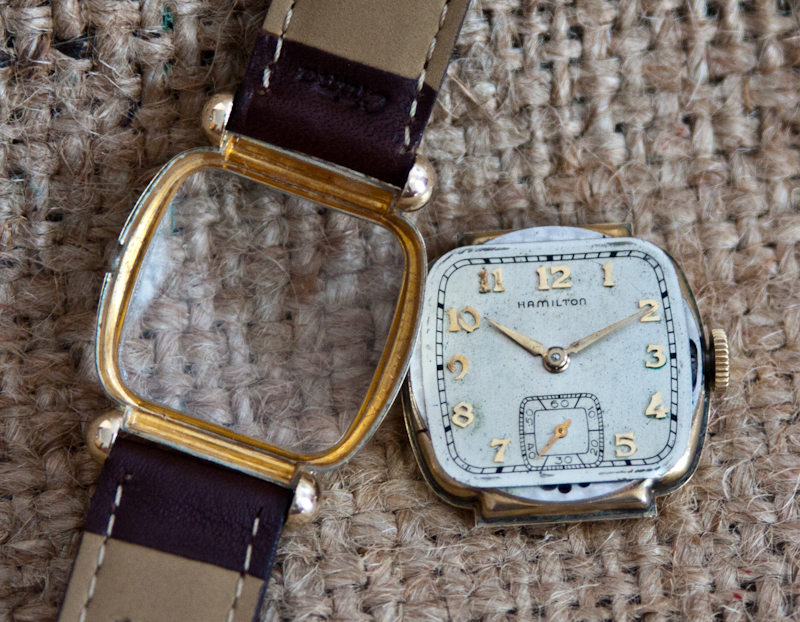 The Hamilton Martin was one of the Hamilton Watch Company’s most popular pre-war models. While these are still relatively easy to find, getting one in excellent condition is difficult. This example is in great shape and has been recently serviced as well. 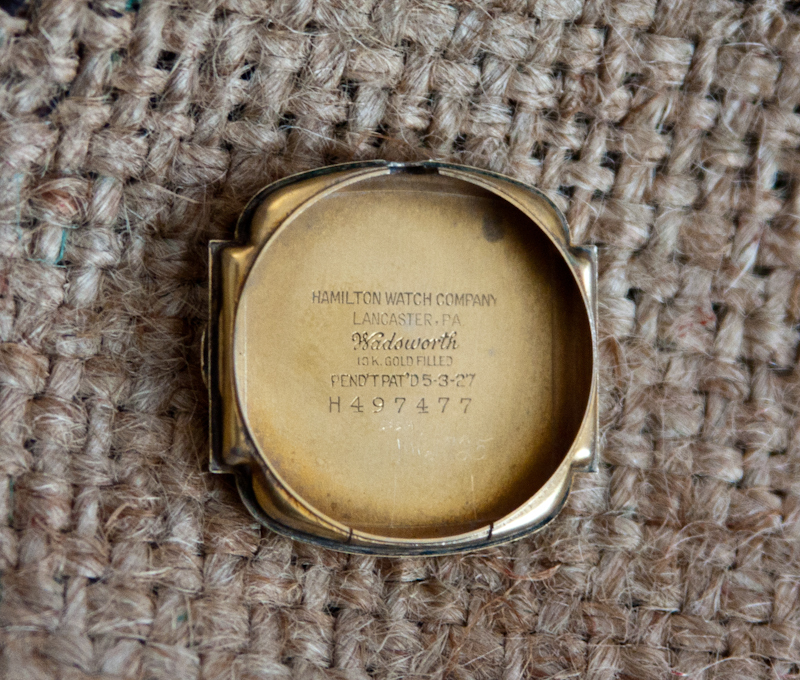 This watch is also a survivor, that is, it is remained unchanged since it was assembled, other than for the band and spring bars. It is all original. The Martin was one of Hamilton’s last models before turning their production to the war effort. The watch is powered by Hamilton’s pre-war workhorse, the 17 jewel 987A movement. This is a highly reliable and sturdy movement and actually went on to become one of the mainstays of wartime watch production. 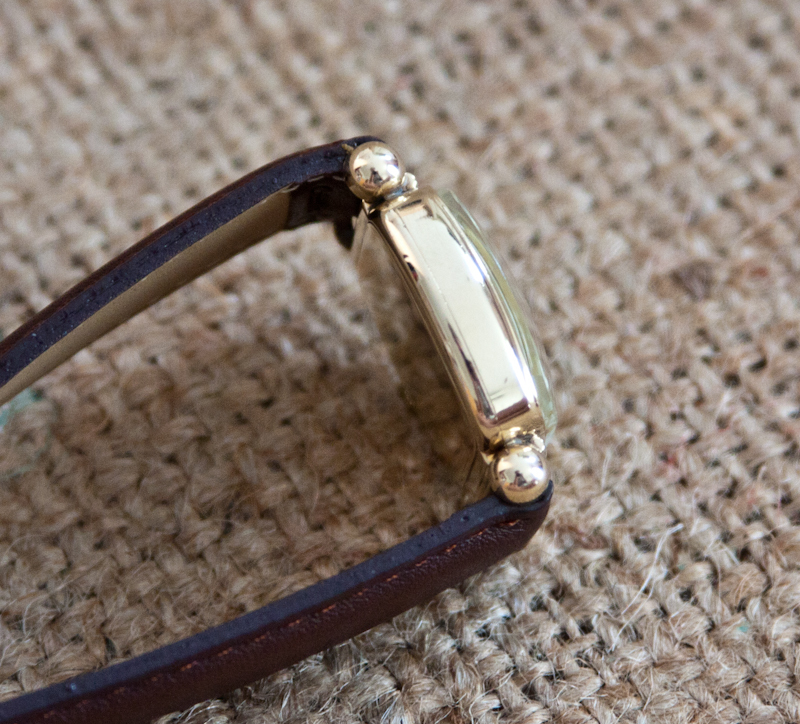 The case is 10K yellow gold filled, front and back. This is a Wadsworth case, manufactured specifically for Hamilton and signed “Hamilton” (as you can see in the photos). The case is in Excellent condition with no visible brassing or wear through. 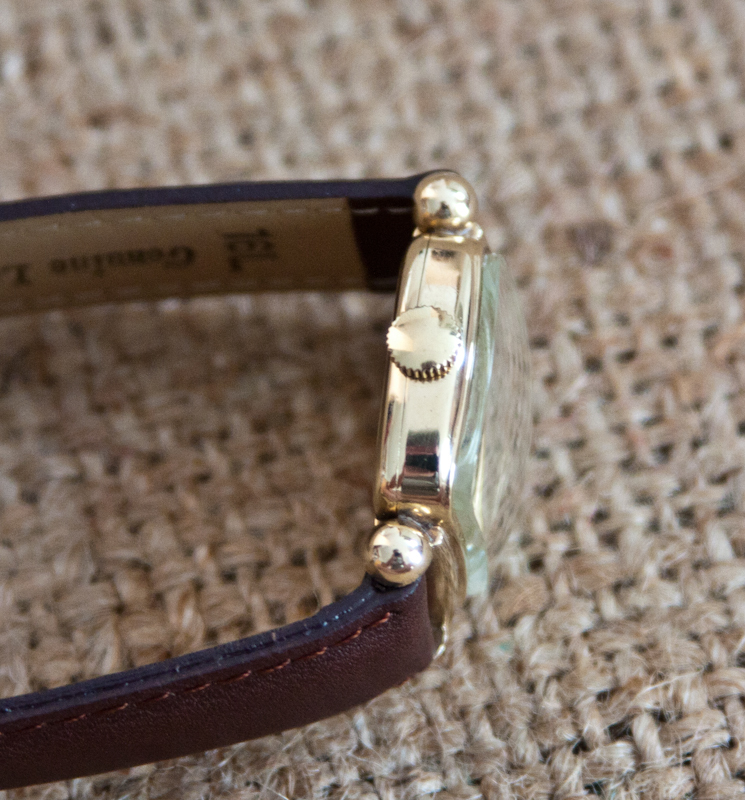 In addition to adding a new leather band and spring bars, we had this watch cleaned, oiled and adjusted in September of 2013. It is running well and is quite accurate. 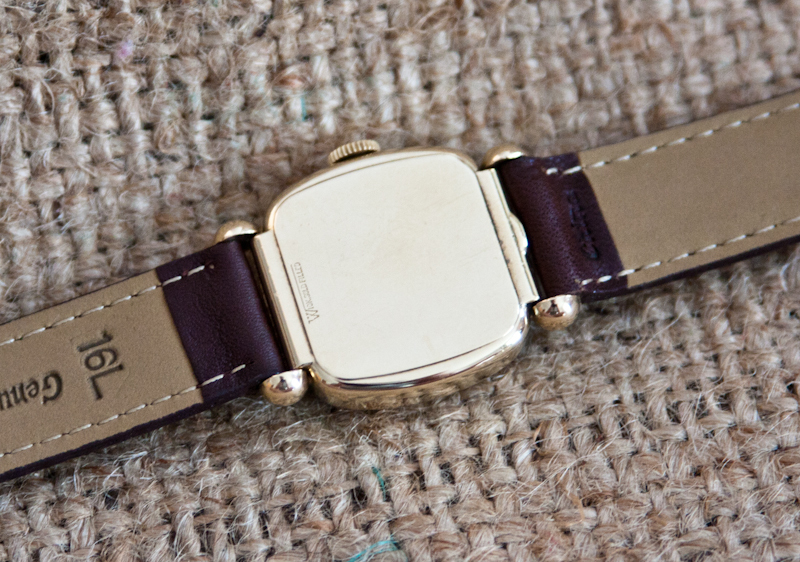 The watch is ready to wear. 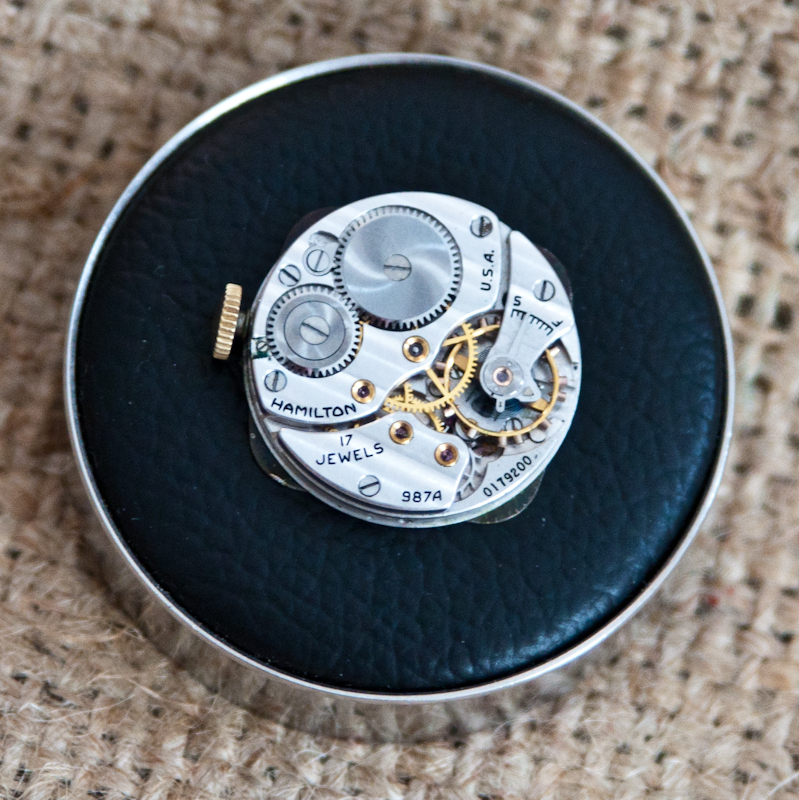 Note that, like most watches of the era, this watch is smaller than modern watches. This particular model could be worn comfortably by either a man or a woman.